Map source: People Group Location from GMI / SIL. Other map data / geography from GMI. Map by Joshua Project. 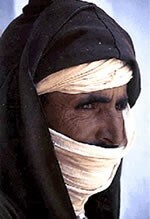 The Drawa Berbers inhabit the Dra River valley region of southern Morocco. They can be divided into three main categories: the farmers who live in the northeast (the Dades); those living along the northwestern tributaries (the Mesgita, Seddrat, and Zeri tribes); and those who live at altitudes of more than 6,500 feet. The Drawas live in a very complex social system. Their villages are usually overseen by the most powerful family in the village. This family lives in a community fortified, threshing-floor dwelling. The rest of the community lives in terraced houses crowded closely together. The nearby oases are usually dominated by their semi-nomadic Berber neighbors. 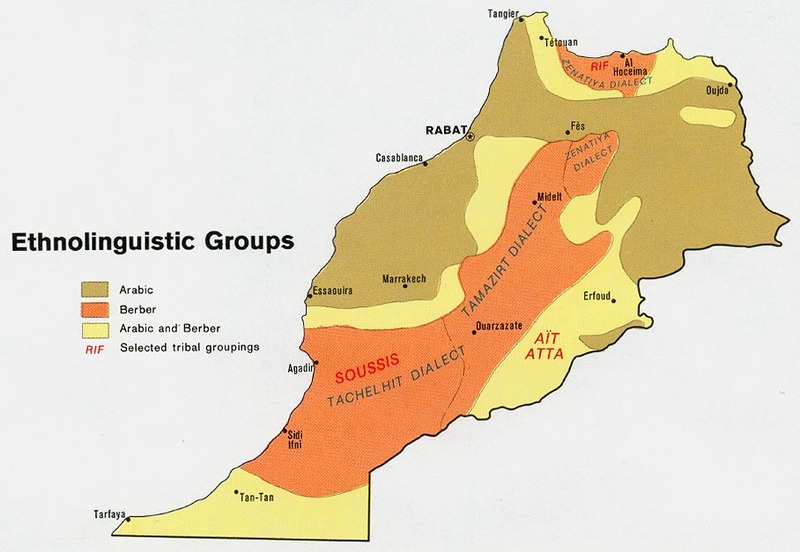 The Berber languages have five main groupings and several different dialects. Except for numerous short inscriptions in ancient Libyan and a few modern religious texts, these languages have practically no written literature. The Drawas are mostly farmers. The mountain slopes in the vicinity are divided for pastures and gardens. The staple crop grown is dates, followed by barley. Date palm trees are very valuable and are considered as property. Various other crops are grown including wheat, corn, and beans. Some animals (cattle, goats, sheep, horses and camels) are kept as well. There is little industry among the Drawas; however, fishing in the Dra River and trading with nearby communities provide other sources of income. Many Drawas have been forced to leave their mountain homes to find work in the cities. Some have been employed in the phosphate mines, while others live in the slums of Casablanca. Although most do some type of manual labor, a few have become shopkeepers. Drawa villages still live according to a code of customary law known as kanun, which deals with questions concerning property and people. Inheritance is patrilineal, meaning that all rights and properties are passed down through the fathers. Over the years, many dynasties have tried to conquer the Drawas because of their importance in the trans-Saharan caravan trade. Prior to the seventh century, the Berbers had successfully resisted foreign invasions of Islam. However, with the Arab conquests of the seventh century, the Berbers were shattered. Some fled or were driven into the desert, while others submitted, becoming Arabized in language and, to some extent, racially mixed. All embraced Islam, with the majority becoming Sunni Muslims. Although the Drawas follow the Islamic fundamentals, there is still much intermingling with existing traditional beliefs. Consequently, Islam in North Africa is somewhat different from Islam in the Middle East. For example, orthodox Sunnis do not celebrate some of the main Muslim festivals. Also, the concept of baraka, or holiness, is highly developed in North Africa. The Drawas believe that many people are endowed with baraka, of which the holiest are the shurifa, or the direct descendants of Mohammed. Another class of holy people is known as the marabouts. Among some of the Berbers, the marabouts are considered to be different from ordinary men. They are believed to possess the powers of protection and healing, even after death. The Drawas, like other Muslim peoples, have never been successfully reached with the Gospel. At the present time, it is illegal for a Moroccan to become a Christian or to evangelize others. For this reason, there are no churches among the Drawa Berbers. In spite of this, there are a small number of believers. While Morocco is closed to traditional styles of missions work, there are creative ways in which to enter the country as tentmakers. The illiteracy rate among Moroccans is less than one-fifth. Perhaps Christian teachers would have an open door into Moroccan schools. 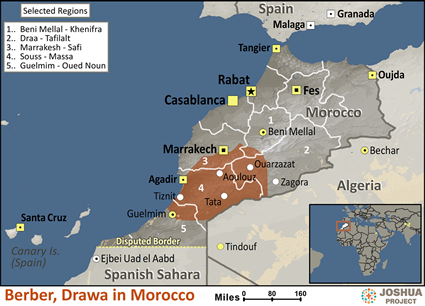 * Ask the Lord to call people who are willing to go to Morocco and share Christ with the Drawas. * Pray that the Lord will raise missionaries who are sensitive to Muslim culture and can effectively disciple new converts. * Ask God to encourage and protect the small number of known Drawa believers. * Ask the Lord to send Christian teachers to work among the Drawas. * Ask the Holy Spirit to soften the hearts of the Berbers towards Christians. * Pray that laws restricting the preaching of the Gospel in Morocco will change. * Ask the Lord to raise up many Christian fellowships among the Drawa Berbers.View Berber, Drawa in all countries. Location in Country: Souss-Massa-Drâa, Guelmim-Es Semara, Marrakesh-Tensift-Al Haouz, and Tadla-Azilal regions: coast south to Ifni, north to near Agadir, northeast to Marrakech outskirts, east to Drâa, including Sous valley, and south near the border.